Download our music in MP3 quality (smaller files), or FLAC quality (bigger files, CD quality.) Just click on the links below. You can choose whether you want to download an individual track ($0.99) or a complete CD ($12.97). You will be able to preview each individual track before committing. Downloads are automatically saved to your hard drive. Once downloaded you can burn them onto a CD, copy them to an mp3 player or backup as with any other normal files. We provide FREE CD-booklets in PDF with the complete CD notes; even if you don't download any tracks! Just click on the link. Now you can enjoy reading the notes or following the songtexts with translations on your smartphone or tablet. This is also great if you own the physical CD, but don't want to go searching for the booklet. Bookmark this page in your browser, and you have all of your Kattenberg CD booklets at your fingertips. Of course, printing is also possible. Do you feel more comfortable with downloading from your local Itunes or Amazon store? Go ahead, you will find our music on most online music stores, even Spotify! By the way, every track you can find on the entire site of Kattenberg Recordings is downloadable FOR FREE. Enjoy! 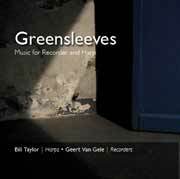 KA001: Duo Van Gele - Taylor, Greensleeves: The intimate character of recorder and harp together is ideal for bringing out the delicacy and liveliness of the early chamber music repertoire, ranging from the middle ages till the early baroque. The duo Van Gele/Taylor performs on a unique collection of copies of historical harps and recorders made by the world's leading builders. 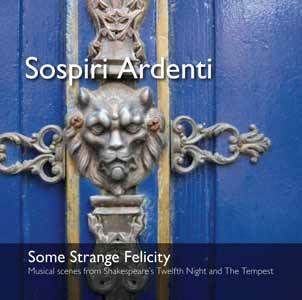 KA005: Some Strange Felicity, Sospiri Ardenti: The music of two generations of English composers comes vividly to life in a program created around Shakespearean theater music by the ensemble Sospiri Ardenti. Based on the plays Twelfth Night and The Tempest - two of the best-loved Shakespearean comedies (which were richly provided by Shakespeare himself with musical moments), this program presents dramatized scenes from the plays, incorporating 16th- and 17th-century songs, instrumental works and dance. Soprano and alto voice, recorder, harpsichord and lute. 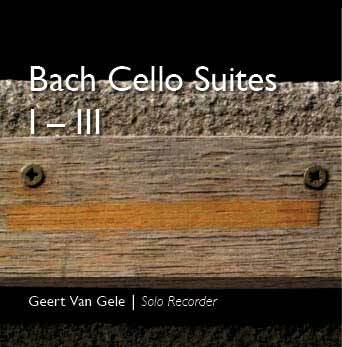 KA002: Bach, Cello Suites I-III, Geert Van Gele: In a program that has proved very popular with audiences, each of the first three of Bach’s six cello suites is fit to the type of recorder that brings out the suite’s special qualities. The deep-sounding bass recorder embodies the melancholy drama of Suite no. 2, while the lively sound of the alto recorder sparkles with the youthful enthusiasm of Suite no. 3. The mild timbre of the "voice flute" (a tenor recorder in D) perfectly fits the calm maturity of Suite no. 1. 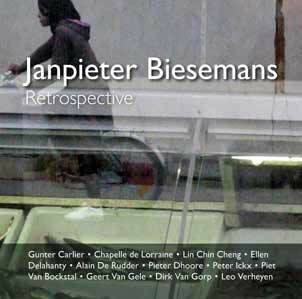 KA006: Janpieter Biesemans, retrospective: an overview of the repertoire of contemporary Flemish composer Biesemans, featuring 10 soloists and an orchestra! Includes a world premier recorder concerto among others. 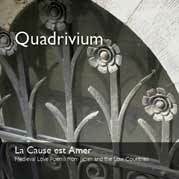 KA003: Quadrivium, La Cause est Amer: Medieval Love Poems from Japan and the Low Countries Asuite of five medieval Japanese love poems form the core of this unique program. Set to music for Quadrivium by Belgian composer Janpieter Biesemans, the pieces examine different states of love: the joy of newly discovered love; parting at dawn; absence of the beloved; doubting faithfulness; and rueful grief. Although Biesemans has scored the suite for western medieval instruments, his compositions capture the delicate yet intense character of Japanese traditional music. In this program Quadrivium pairs these compositions with Late-Medieval Netherlandish art songs which echo similar sentiments. KA101: J.J. Van Eyck, Pavane Lacryme, Geert Van GeleOne of the most famous pieces from the English renaissance, John Dowland's Flow My Tears, was adapted by Jan Jacob van Eyck in his volumous work "Der Fluyten Lusthof". Here it is performed on a late renaissance tenor recorder build by Bob Marvin. One track/ Download only! 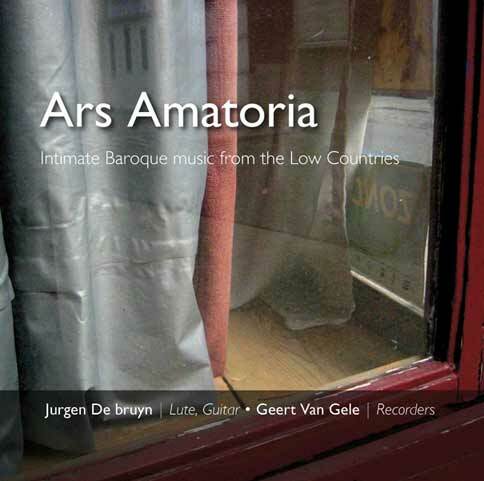 a program with lutenist Jurgen De bruyn and recorder player Geert Van Gele, with intimate baroque music of the Low Countries. Music by Loeillet, Van Noordt, De Fesch, Fiocco. This will be available soon.